We Must Educate People that Declawing is Animal Abuse! The bill to ban declawing in NY will be back on the table in January so it will be a huge fight to pass this important cat protection bill. NEWSFLASH. DECLAWING IS NEVER IN THE BEST INTERESTS OF A CAT. But obviously if declawing was banned then it would hurt the pocketbooks of pro-declaw vets. 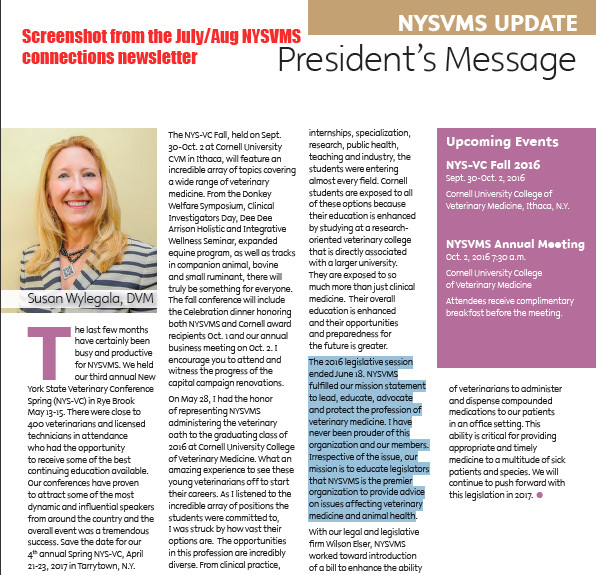 This is a screenshot from the July/August NYSVMS Connections Newsletter. Let’s thank the NYSVMS for reminding us in the image of the cat on their newsletter, that we must use our VOICES and be ADVOCATES to EDUCATE the public and CAT OWNERS that DECLAWING is ANIMAL ABUSE and that we must protect all cats from LICENSED VETs who are doing this mutilating and inhumane procedure! Here are the President of the NYSVMS, Dr Sue Wylegala’s words to her NY vets with some examples from me on how she lead, educated, advocated, and protected her vets. 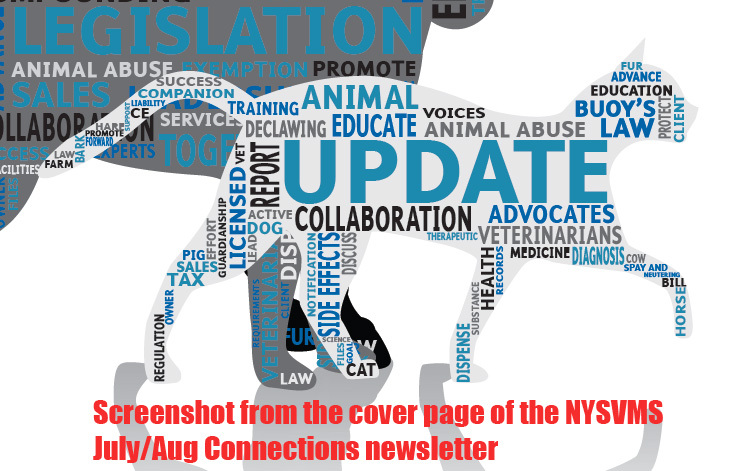 HERE ARE MORE WORDS IN THE JULY/AUG NYSVMS CONNECTIONS NEWSLETTER ABOUT THE BILL IN NY THAT WOULD HAVE BANNED DECLAWING IF PASSED BUT WAS DEFEATED BY THE NYSVMS. MORE WORDS FROM THE NYSVMS ABOUT HOW THEY DEFEATED OUT CAT PROTECTION BILL THIS YEAR. 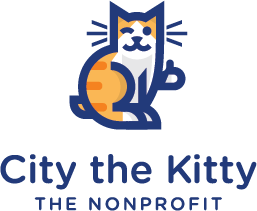 NYSVMS worked throughout the 2016 session to combat legislation that would prohibit the declawing of cats in nearly all circumstances. Assemblywoman Rosenthal (A.1297-A) and Senator Griffo (S.5084-A) sponsored legislation that would prohibit the declawing of cats (onychectomy) in all circumstances, except when “necessary for a therapeutic purpose” such as the diagnosis of a disease in the cat. NYSVMS believes declawing is a serious medical procedure and the choice to perform one is a decision which should be left to the sound discretion of fully trained, licensed, and state supervised professionals operating within appropriate standards of practice. In addition, NYSVMS believes that declawing should be considered only after a complete education about the procedure and full briefings on alternatives, where the claws present a health risk to an owner, or where serious attempts to stop a cat’s destructive behavior have failed. However, declawing is often an alternative for owners that may otherwise leave their pet at a shelter, which can lead to euthanasia. NYSVMS issued a Memorandum in Opposition to the legislation, and actively advocated against the bill throughout the 2016 legislative session. The legislation did not pass in either House of the Legislature. 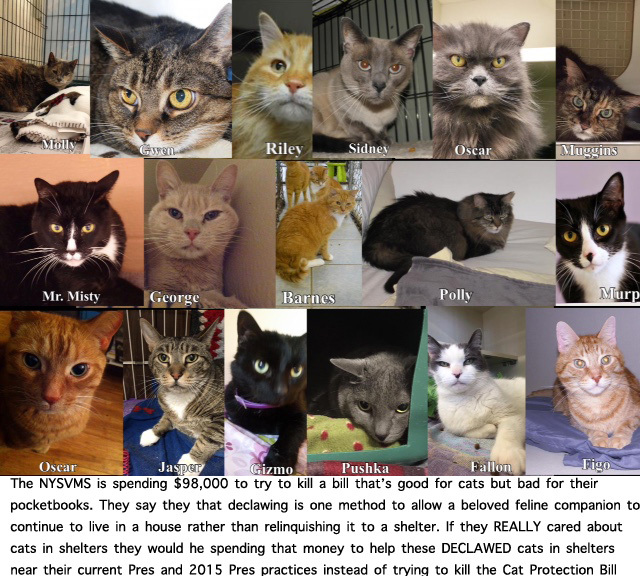 These are some of the hundreds of declawed cats in New York that are in shelters and rescues near this 2016 NYSVMS President’s veterinary practice, Cheektowaga Animal hospital and near the 2015 NYSVMS President’s practice Apple Country Veterinary Hospital.